Sweden is just across the bridge. And we go as often as we can. We both love the landscape of southern Sweden and the chances to see an eagle or a kite. 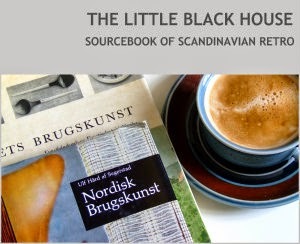 They also make a really good and strong coffee in Sweden and some very nice Cinnamon breads ("Kanelbullar"). Last Saturday we went vintage hunting. I was especially interested in Rorstrand which can be hard to find in Denmark. But the prices on Rorstrands more famous series were far to high even though we went to charity shops. 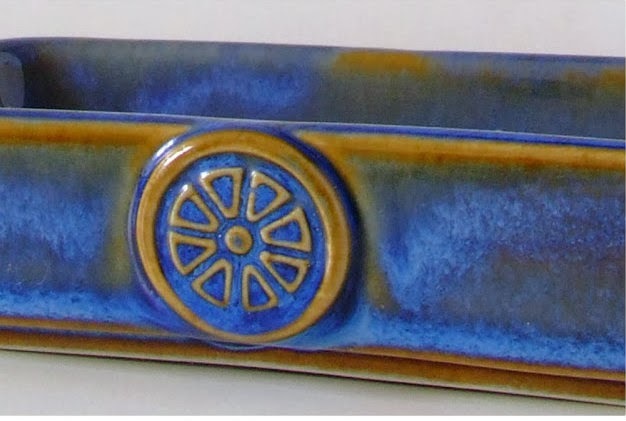 I did find one very nice Rorstrand item though at a reasonable price. 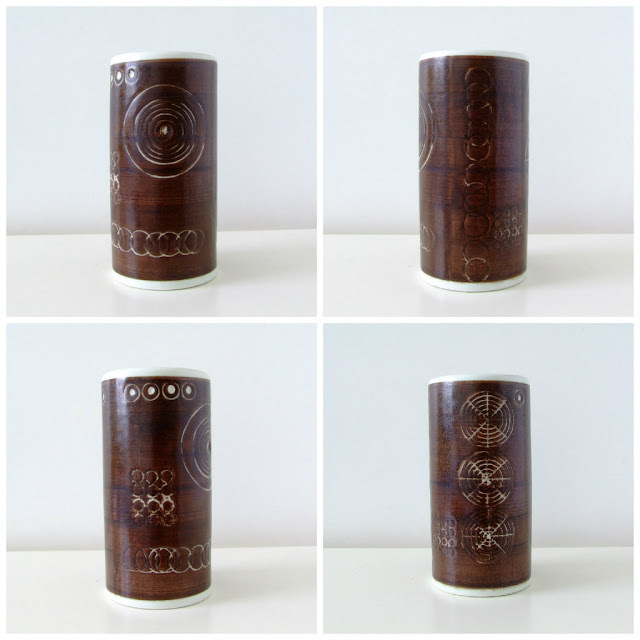 A vase from the series Sarek by Olle Alberius. Rorstrand made the series in blue too and I would love to find one in that colour as well. The decoration is very varied. Different all the way around. 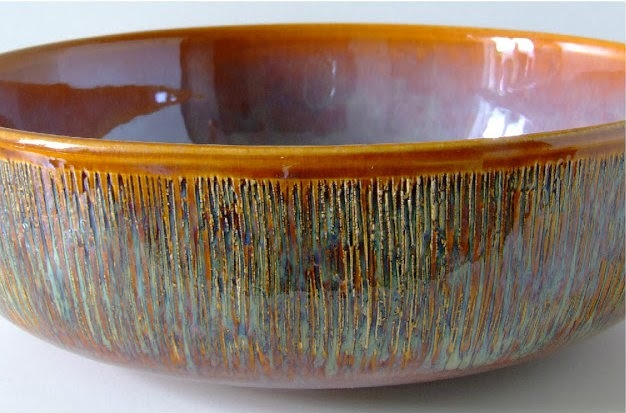 Olle Alberius (1926-1993) worked in both pottery and glass. He worked for Rorstrand 1963-1971 and changed to Orrefors Glass the same year. 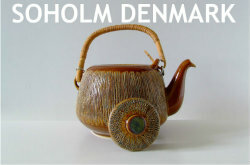 Before and at the same time as the years at Rorstrand he also worked for Syco Keramik (1957-65). 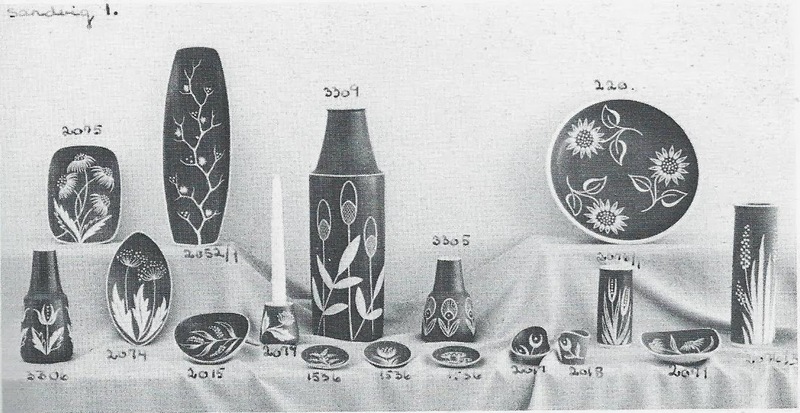 In 1964 Upsala-Ekeby bought Rorstrand and you´ll find pieces designed by Olle Alberius in their assortment as well. He designed several well known series for Rorstrand like Astral, Fleur and Forma from which I found a cup and cake plate very cheap. Probably because the saucer was missing but I´m not much of a saucer women and don´t mind. Brown is probably not the most "happy" colour but together with blue and green it works very well.